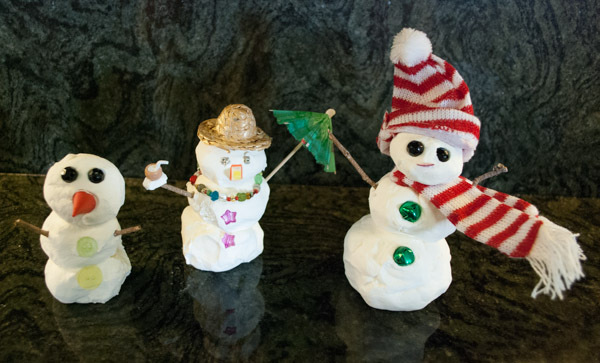 Assorted odds and ends to accessorize your snowman, such as sticks, buttons and ribbon. 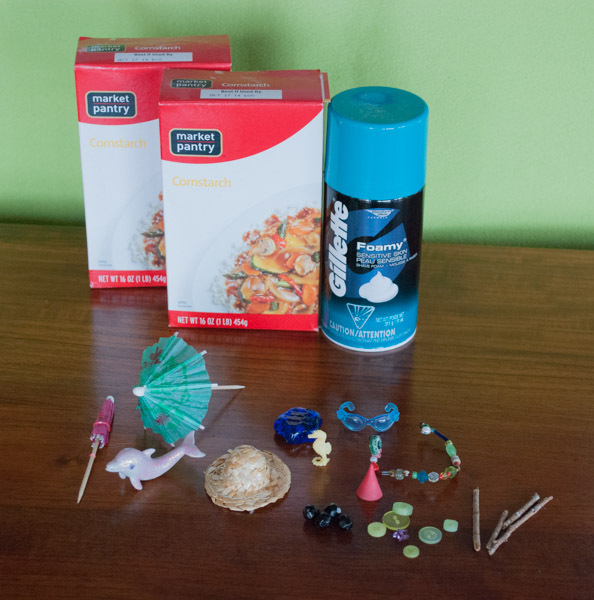 Have the kids raid the toy box for materials to decorate their snowman. 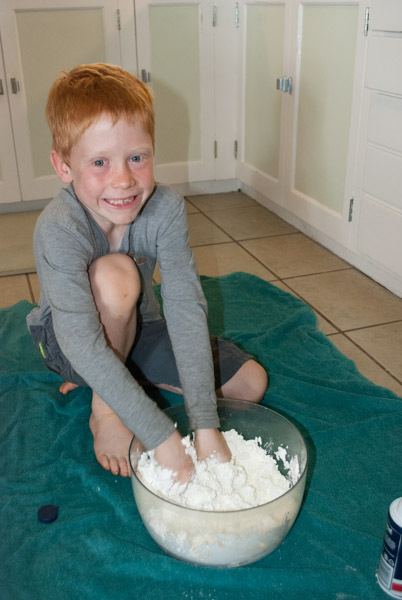 In a large bowl, mix the cornstarch and the shaving cream. The kids will really enjoy doing this part with their hands. Warning: it gets messy. 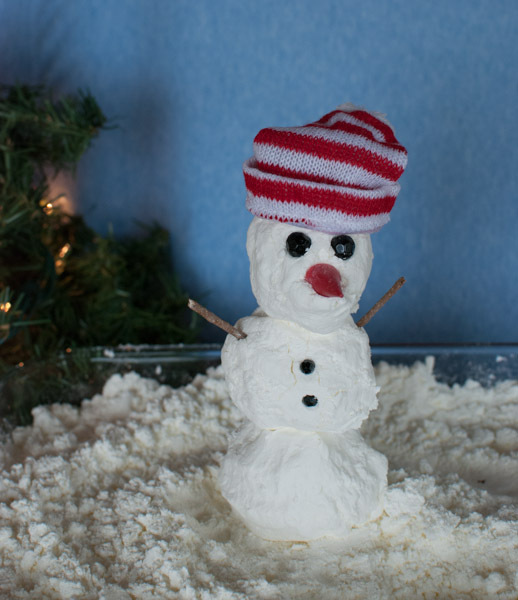 Pour the “snow” into a large, shallow box. We used a 9-x-11baking pan that has a lid. This made clean up and storage easy. 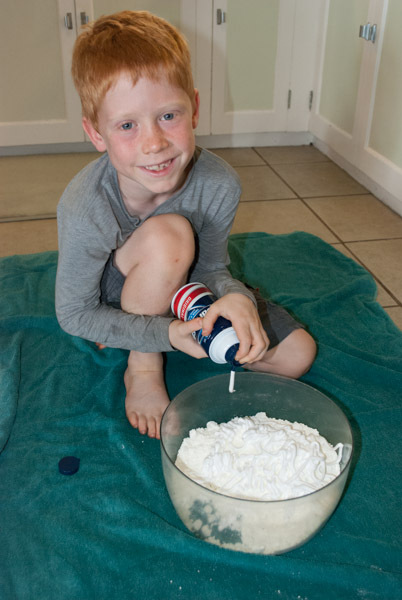 Tip: The original source listed two boxes of cornstarch and one can of shaving cream, but we found the mixture easier to use with a one to one ratio. 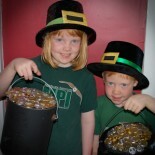 Thanks to modernparentsmessykids.com for the idea! 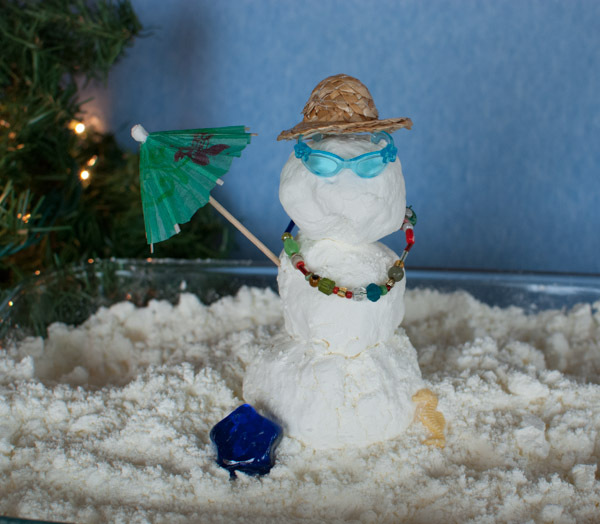 This entry was posted on December 29, 2013 by mdaucello in Christmas, Crafts, Crafts, Holidays and tagged corn starch, craft, shaving cream, snow, snowman, snowmen.